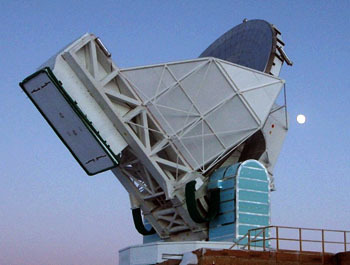 The South Pole Telescope, SPT. Observational cosmology using new instruments to measure the primary anisotropy in the Cosmic Microwave Background (CMB) radiation and the Sunyaev-Zeldovich Effect. 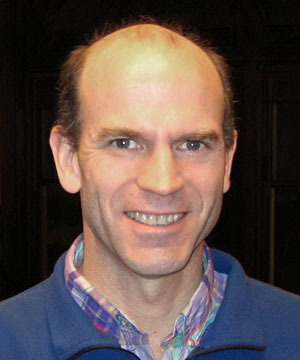 Leader of the Degree Angular Scale Interferometer (DASI) project. DASI, a unique 13 element compact interferometric array located at the NSF Amundsen-Scott South Pole station, recently reported detection of the harmonic peaks in the CMB angular power spectrum. The new DASI data was used to set tight constraints on cosmological parameters, such as the curvature of the universe (1.04 - 0.06) and the fractional amounts of baryonic and cold dark matter. The results provide further support for Inflationary models for the origin of the universe. Current DASI observations are directed toward measuring the polarization of the CMB anisotropy. Interferometric techniques are also used for detailed imaging of the CMB which has been scattered by hot gas associated with clusters of galaxies, the Sunyaev Zeldovich effect (SZE). The intensity of the SZE for a cluster is independent of its distance making the SZE an ideal cosmological probe. Combining SZE measurements with x-ray observations allows an independent determination of the expansion history of the universe, as well as detailed information about these extremely large structures. A major expansion of this project, which includes building a dedicated six element array of telescopes, has recently been funded. The factor of 100 increase in imaging speed provided by the new array will enable a SZE survey of the high redshift universe over a region of roughly 12 square degrees. KICP Talk, EFI colloquium: John Carlstrom, "Cosmic Microwave Background measurements through the Next Decade"
KICP Event, The Future of Cosmological Physics: Scott Dodelson, "Cosmic Coda"
KICP Event, Discussion on the Mid-Decadal review, "New Worlds, New Horizons in Astronomy and Astrophysics"
PhD Thesis Defense, Yin Li, "Cosmic Void Abundance in a Spherical Boundary Model"
KICP Event, World Science Festival Live Stream viewing and discussion: "To Infinity and Beyond: The Accelerating Universe"
KICP Talk, Physics colloquium: John Carlstrom, University of Chicago, "Physics and Cosmology with the Cosmic Microwave Background"
PhD Thesis Defense, Matthew Becker: "CALCLENS: Weak Lensing Simulations for Large-Area Sky Surveys and Second-Order Effects in Cosmic Shear Power Spectra"
PhD Thesis Defense, Megan Gralla, "Radio Sources in Galaxy Clusters"
KICP Talk, John Carlstrom, "The Cosmic Microwave Background: Progress and Prospects"